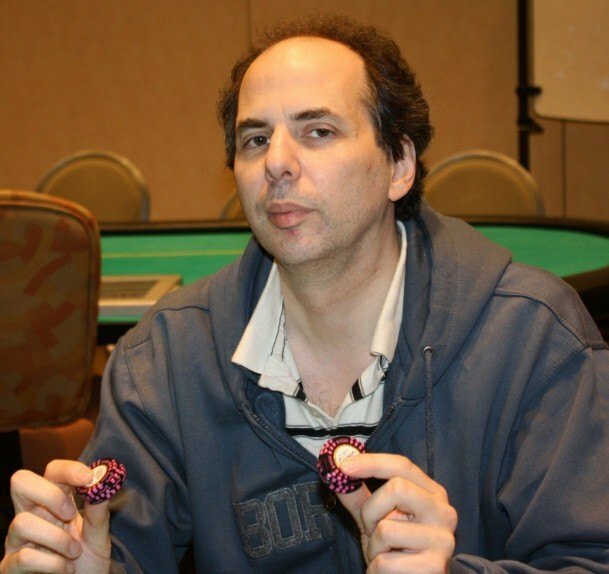 Allen Kessler has earned more than $3.1 million in tournament earnings over the last 15 years, and has won three World Series of Poker Circuit rings, including the 2014 WSOP Circuit Foxwoods Main Event. 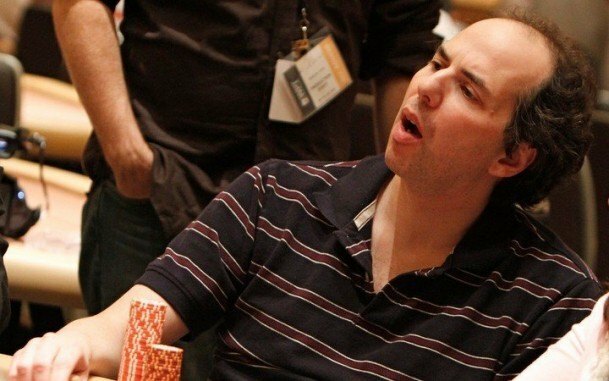 But Kessler, known as “The Chainsaw,” may be far more famous for his strong opinions on tournament structures than for being ranked among the top 200 in the Global Poker Index. 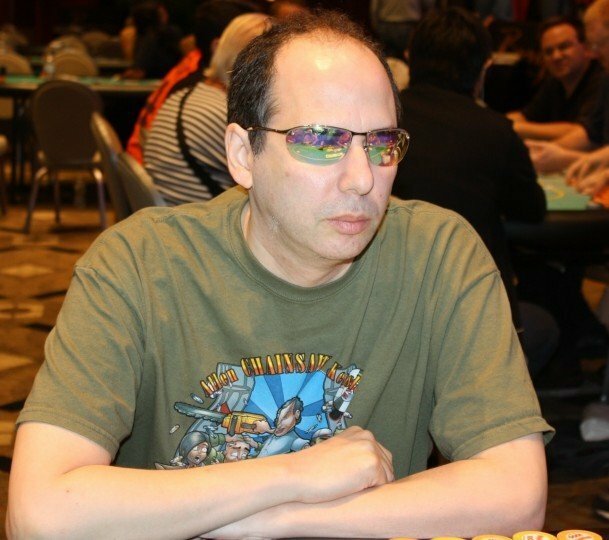 I recently had the chance to have a conversation with Kessler, during which we talked about the WSOP, the biggest issues facing tournament poker today, and his upcoming plans. ES: How did you feel the World Series of Poker went for you this year? I know you cashed seven times during the Series. 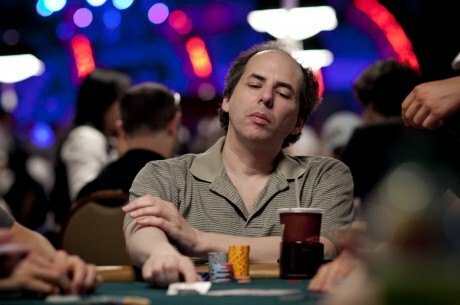 AK: I did cash seven times, but the problem was that they were mostly small cashes, and I didn’t have a breakthrough tournament. I was pretty deep in a couple tournaments, down to the last 30 or so, and couldn’t break through. Especially in the $1,000 PLO and the $1,500 Seven Card Stud tournaments: in both of those I was down to the last three or four tables and just couldn’t break through. So I wound up actually losing quite a bit, but that’s the way it goes. I did cash seven times, which is not that easy to do. ES: You had a role in shaping some of the changes to the structures of the low buy-in limit events at this year’s WSOP. What were your thoughts on how those events were structured? AK: I was okay with the $1,500 tournaments, but in the $2,500 events, almost everyone made it through the early levels, making for a very tedious tournament. So I made some suggestions, and they took my exact suggestions and used them for the structure midway through the Series. So that was nice: the entire WSOP decided to use my structure suggestions midway through. ES: You cashed in the DraftKings 50/50 event, which was a new tournament this year. What did you think of it? AK: I didn’t really like that one. Basically, it was really easy to cash. There was kind of a tense bubble for the minimum cash, because it was going to be the first cash for a lot of people. So you could exploit the bubble a little bit. But I really didn’t like it. I made it midway through Day 2, and got my money back. It just seemed like kind of a crazy thing, I don’t know. I told the people from DraftKings that they should have given the people who cashed something like a $50 free credit on DraftKings for the publicity, but they looked at me like I was crazy. 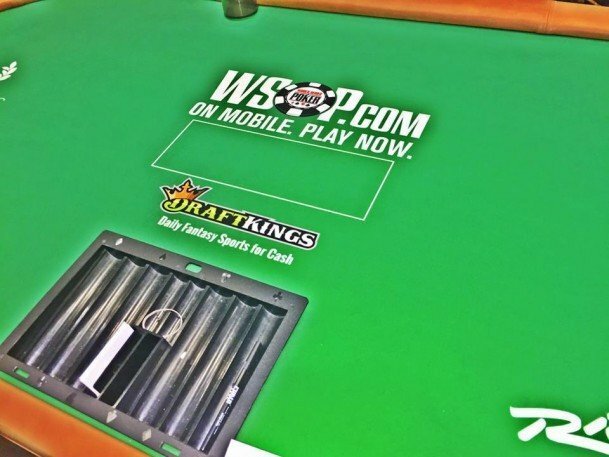 You have people playing in a DraftKings-sponsored tournament and you have a captive audience. It’s probably worth way more than that to have a new customer anyway. Their marketing people are not on the same page as I am, I guess. You’re sponsoring the tournament, most of those people don’t have a DraftKings account. It seems like a perfect fit. ES: Are you planning to play in the Seminole Hard Rock Poker Open? AK: Yeah, they have a $5 million guarantee this year. I was looking at it, and the thing is, the $5,000 tournaments at the WSOP have a huge audience to draw from, and those tournaments only draw about 700 to 800 players. So for this tournament to guarantee $5 million and 1,100 players is a major undertaking. ES: Do you think they will hit the guarantee this year? AK: I don’t think they will, but you never know with these things. [Editor’s note: It did not]. The last one they ran that didn’t meet its guarantee was up against WinStar, which I thought was a huge mistake, but this one is more independent. There are only a few other tournaments going on this week. There’s Foxwoods, which isn’t really competition for them, and the Arizona Poker Championship, which is on a completely different coast. I think they have a better date, but I’m still not sure they will make their guarantee. ES: What do you think of the change in format this year? Do you prefer the single buy-in format? AK: I prefer the single buy-in, but for some reason they’re starting on level three, and I couldn’t really get a legitimate reason why. I guess they’re worried about not having enough space for the following days’ tournaments, which makes some sense, but I don’t see why you would start a $5,000 tournament on level three. That’s the only issue I really had. But if you think about it, you’re starting at 75/150 with 30,000 in tournament chips, so that’s a reasonable amount of play. ES: This time last year, you won the Main Event at the Foxwoods WSOP Circuit stop. AK: A lot of people were saying I should go there and defend my title. I was right on the fence to try to do that, but I already had everything booked in Florida. At Foxwoods, it’s hard to get that many days comped in a row, while in Florida I had a lot of comps built up. Since I already had it booked, I just decided to stay there. ES: One of the biggest issues you’ve talked about in the last year when it comes to tournament structures is the Best Stack Forward format. What are the biggest problems you see with this format? AK: First of all, it’s biased towards deep-pocketed players. 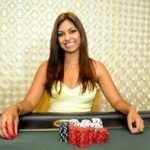 A deep-pocketed player that has a slightly below-average stack might gamble and play the next day and try to improve that, while a local or recreational player has no shot to do that. So it’s biased in that way. There are other problems, too. If someone advances on a previous flight and now they are playing in a secondary flight, but haven’t reached their chip count from the previous flight, they have a huge incentive to try pocketing some chips and adding them to the previous stack. They might also have a huge incentive to help out a friend that hasn’t advanced yet by losing most of their chips to that person, so that they can advance to Day 2 as well. So there are some really shady things that can happen. Once somebody has already advanced, they basically have a chip stack that they can do whatever they want with. They can decide they’re just going to go all-in blind until they reach a certain number, which is legal, but still is not beneficial to a tournament. The one benefit to it is that if someone has a really tiny stack and they want to try to improve it, but they also want to have something to fall back on, they have the chance to do that. But in those situations, I’d rather them just forfeit those chips and start fresh like everyone else. So I really don’t see any benefit to the Best Stack Forward format, to be honest with you. ES: What’s the biggest improvement you think could be made to the tournament structures that are currently being used throughout the poker world? AK: A lot of these tournaments seem to skip two particular levels that I like to call “Chainsaw Levels:” 250/500 and 2,500/5,000. Those seem to be really popular levels to skip. 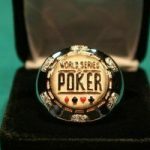 I finally got the WSOP to add them in this year, but those levels had been skipped in their $1,500 events since 2005. But there are other tours where they routinely skip those levels. The 2,500/5,000 level is an important level once you get deep into a tournament. Another of my gripes is late seating. The people who come in late shouldn’t all be sitting together, but that seems to happen at a lot of venues. ES: What else do you have on your plate after the Seminole Hard Rock? AK: After Florida, I’m heading to a small tournament: the MSPT Evansville in Indiana on the weekend of the 21st. If you look at the website for the Mid-States Poker Tour, they use only Chainsaw-approved structures. Even though it’s a $1,000 tournament, they play every possible level, and use 40-minute levels. I’ve heard nothing but rave reviews about their structures. It’s a far out of the way place to get to, but I have some friends driving there from Chicago, so it can’t be too far. 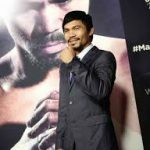 Nice inteview! Have always liked and respected Allen. What is best stack forward? Good interview, like ‘Chainsaw structures’. BSF is when a tournament has multiple starting flights and players are allowed to buy-in to any/all of them and then move on to day 2 with their biggest stack. Example: buy in to flight 1A and finish with T100K, buy in to flight 1C and finish with T120K, you would start day 2 with the T120K stack and forfeit the T100K stack. I wish I could make it to the bigger ‘ chainsaw level ‘. unfortunately , I never get that deep ! I ,too, think that best stack forward option has many flaws that are easy to exploit . the last thing tournament poker needs is more angles for unscrupulous players to employ .